Considered one of the most important Brazilian literary figures of the late 19th and early 20th centuries, de Assis is particularly remembered for his 1881 novel Memorias Postumas de Bras Cubas. His other notable works include the short story "A Missa do Galo" and the novel Quincas Borba. He published his debut poem, "Ella," when he was only fifteen. After apprenticing with the Brazilian Official Press, he accepted a proofreading position with the Correio Mercantil newspaper. He established the Brazilian Academy of Letters along with several other Brazilian monarchists and literary figures. 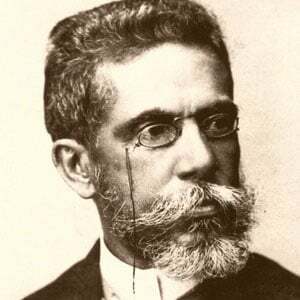 Born Joaquim Maria Machado de Assis in Rio de Janeiro, Brazil, he was the son of Francisco de Assis and Maria de Camara Machado. In late 1869, he married the Portuguese-born Carolina Augusta Xavier de Novais. He and Hilda Hilst are both well-known Brazilian writers.